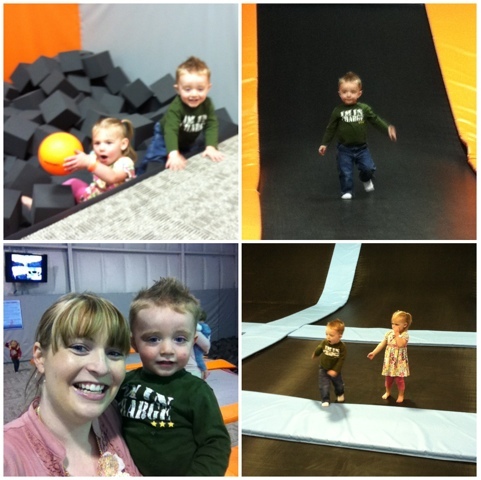 Today, Krysta Miller and I took Maddie and Carson to ijump to play. 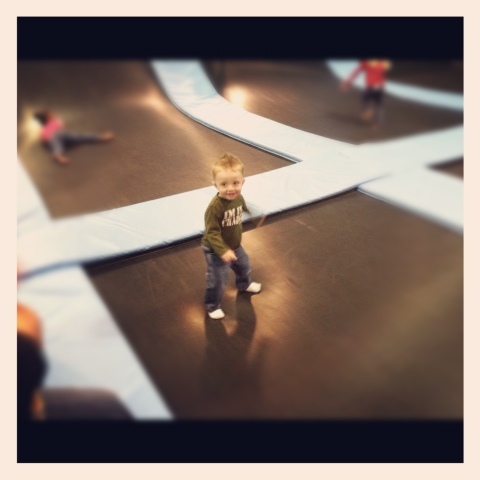 It is a big building full of trampolines and foam pits. The kids LOVED it! They jumped around for an hour and got all of their energy out. They were having so much fun that Carson cried when I tried to get him to take a picture with me!! By the time we got home he was so tired from all of his running and jumping that he took a 3 1/2 hour nap. Sounds like we might be going there again!!! 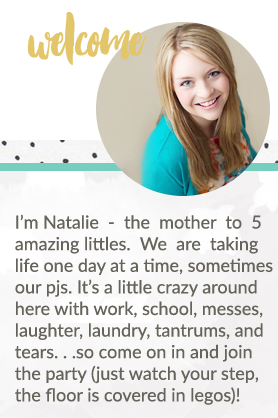 Is that in Idaho Falls!!!!!!!!????? ?